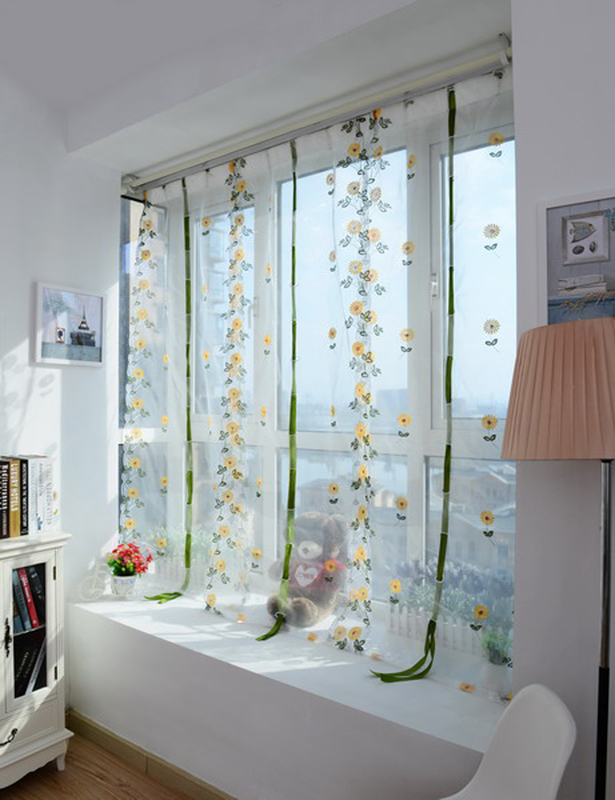 Do you want to create a comfortable living environment?Then it is necessary to have a marvellous curtain for your room. 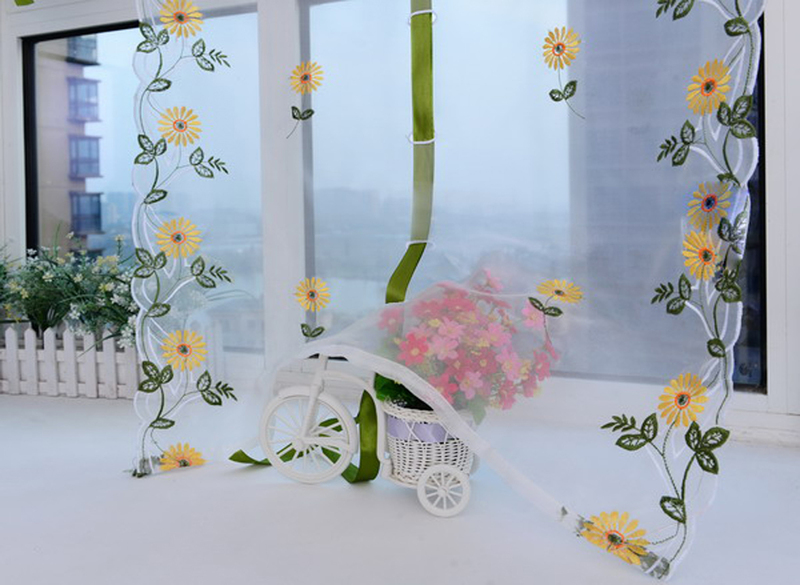 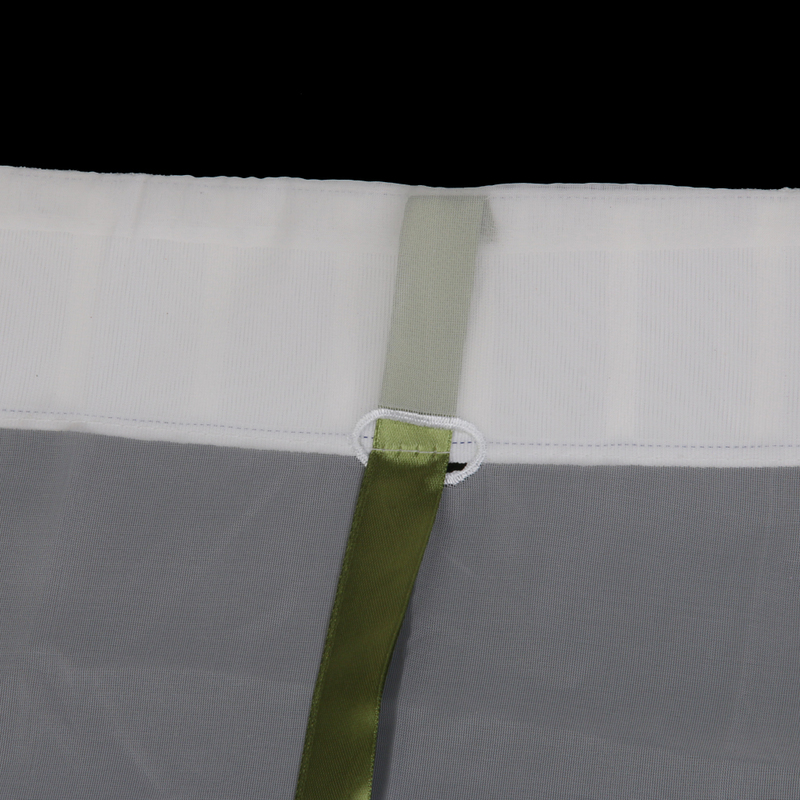 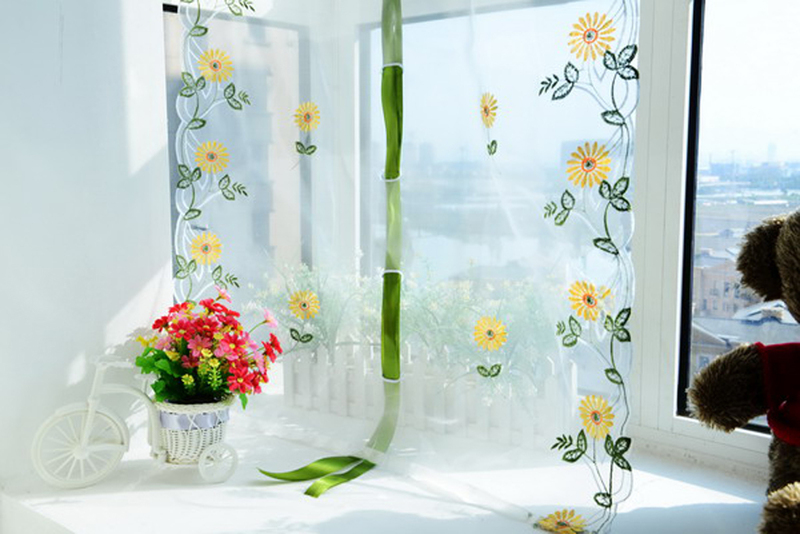 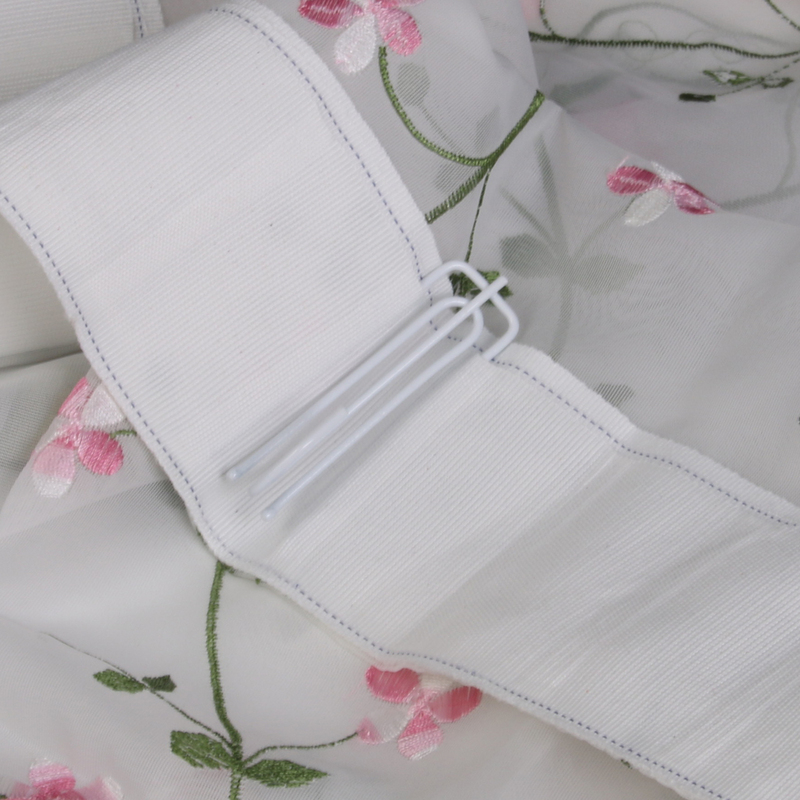 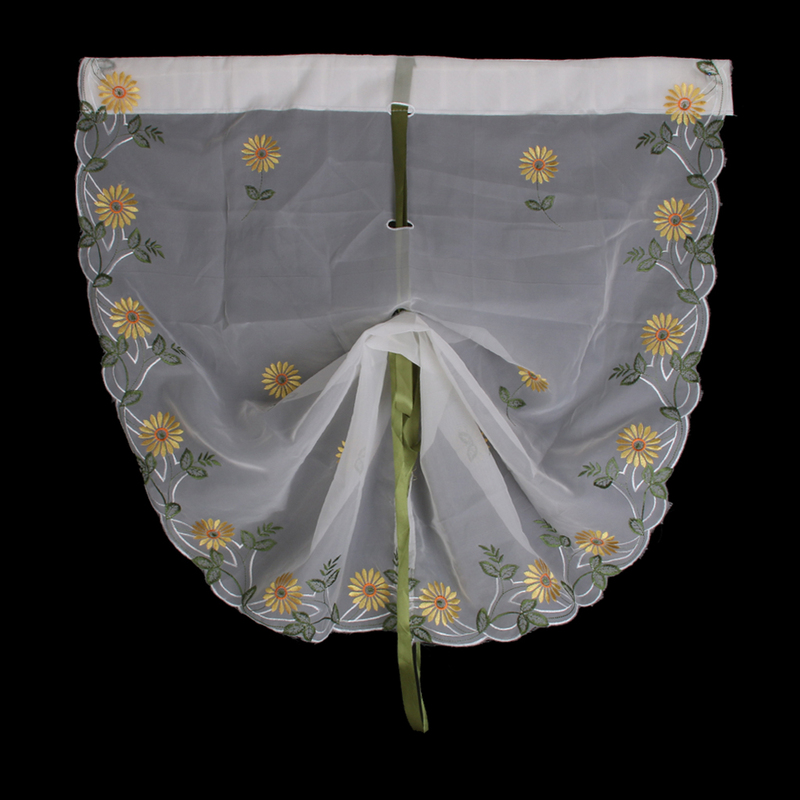 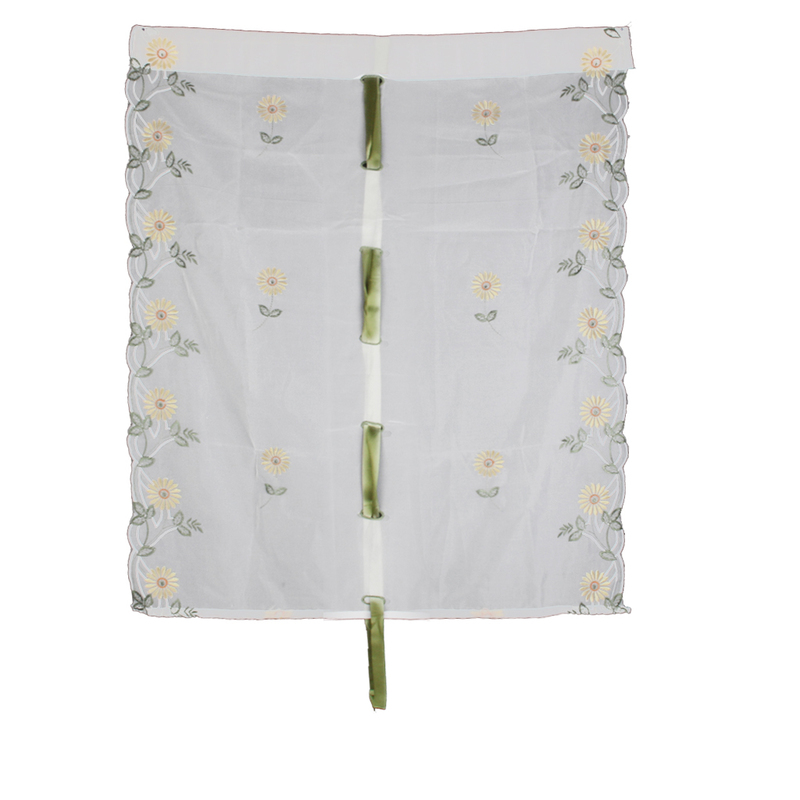 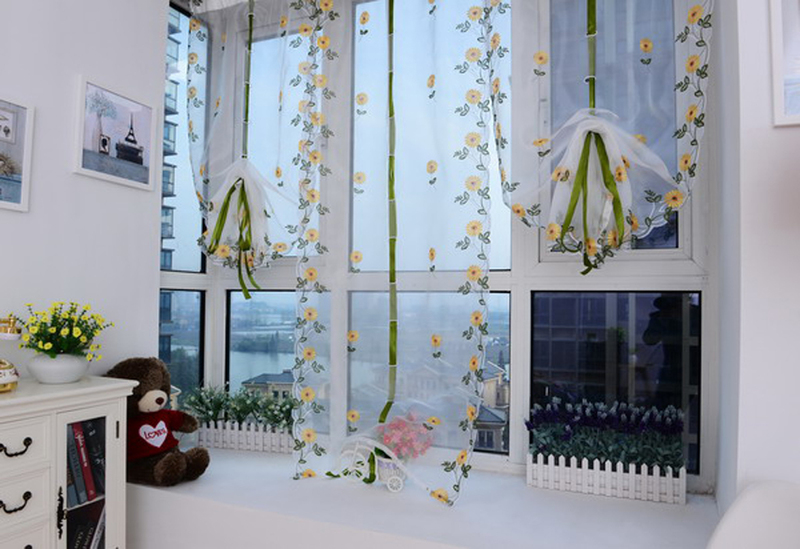 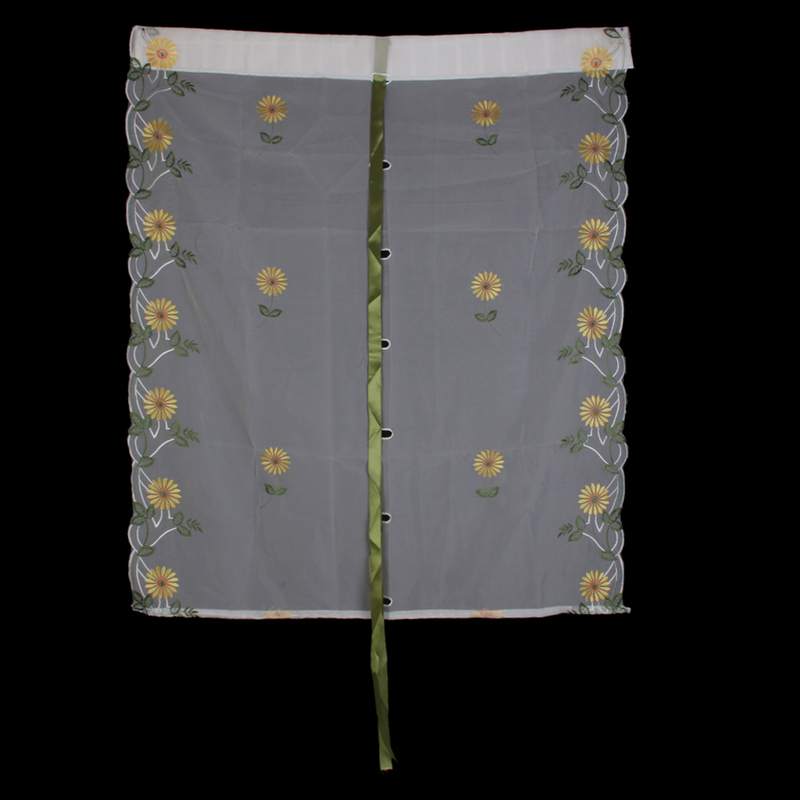 Now this Romantic embroidered daisy Pattern Living Room Voile Curtain that is highly recommended for you here! 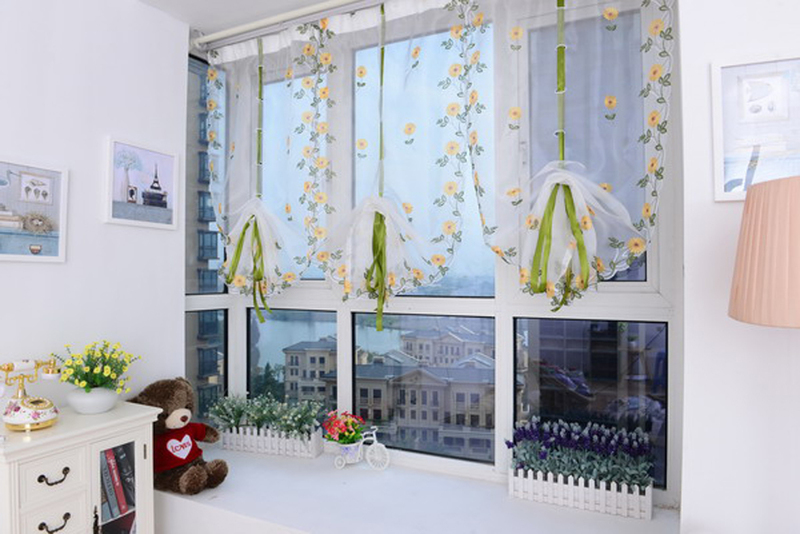 Create a comfortable and romantic atmosphere for your family. 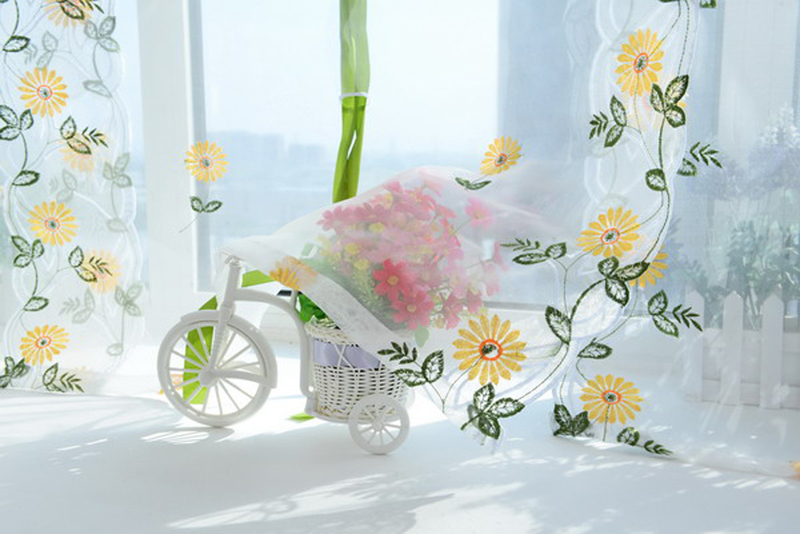 Gorgeous when used as a room divider, window curtain, wall decoration. 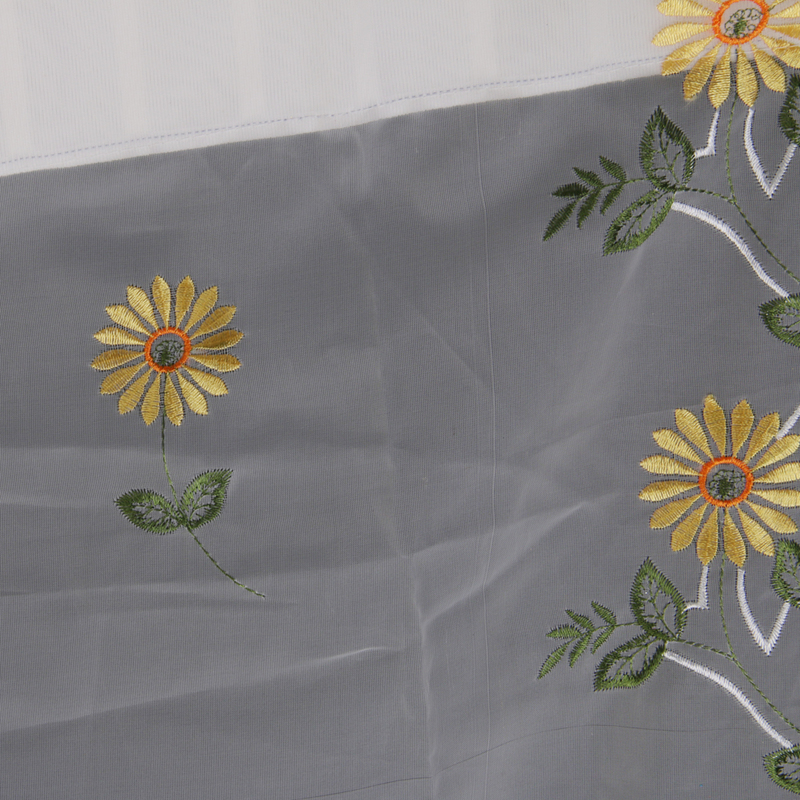 The daisy are embroidered, high quality and Vivid. 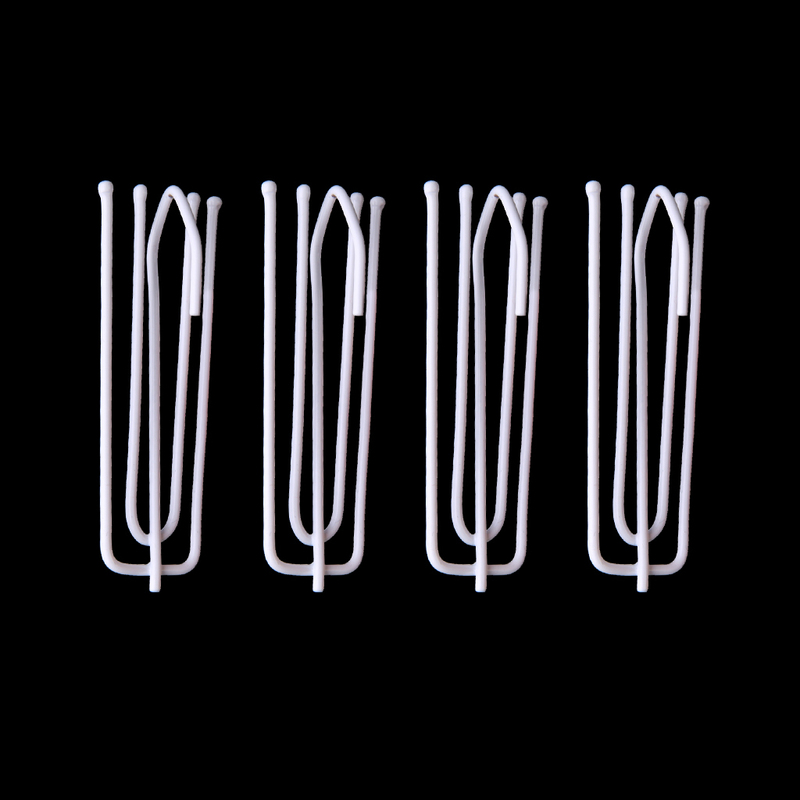 Hook hanging Design, comes with 4 pieces metal hooks. 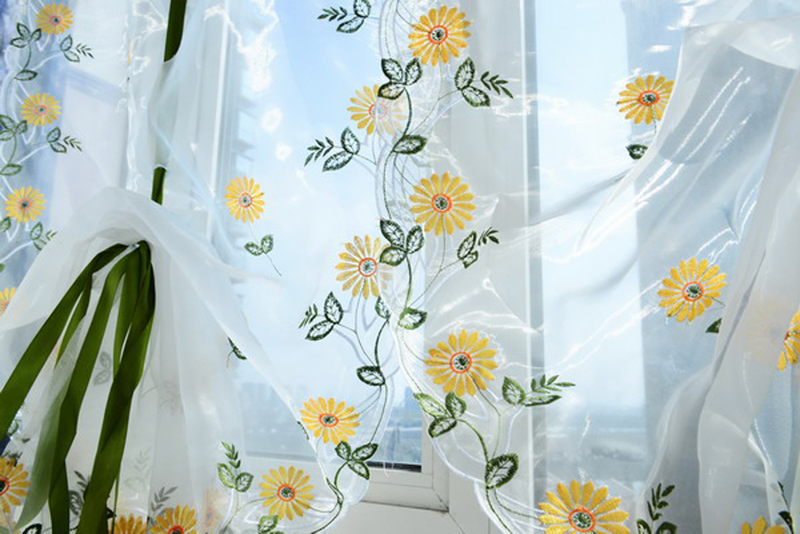 Ideal for summer months to keep flies out. 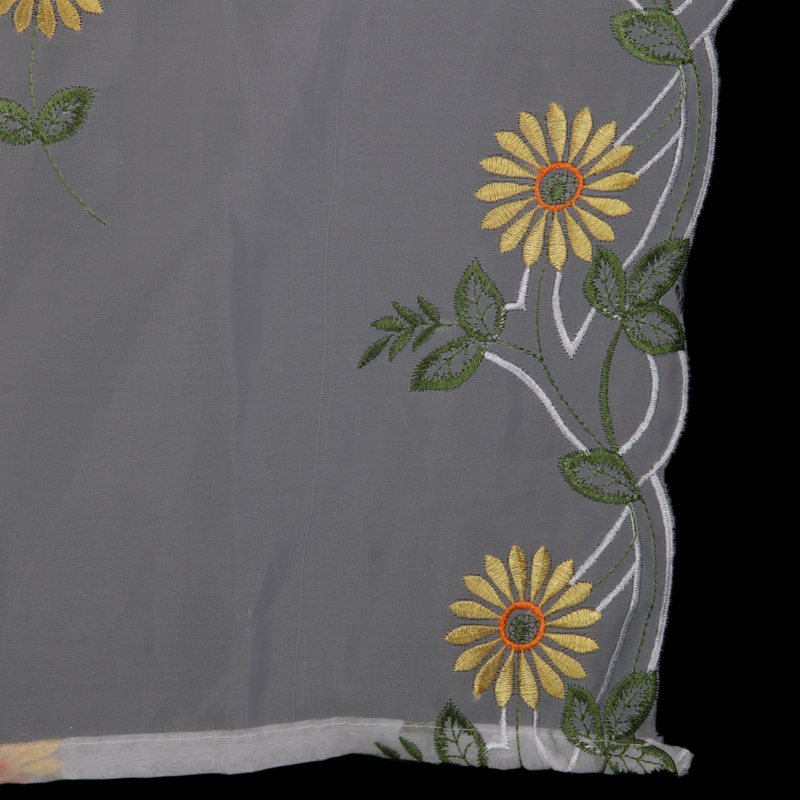 Notes:Please allow 1~2cm differences due to manual measurements;Please be reminded that due lighting effects, monitor's brightness/contrast settings etc, there could be some slight differences in the color tone of the website's photo and the actual item.